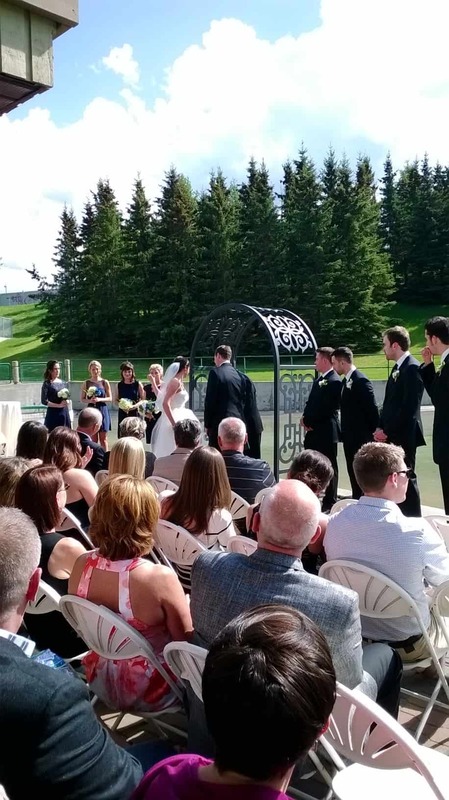 We provided this arbour/trellis as accoutrement for a wedding ceremony site. The two day turnaround requirement, dictated that this was an entirely fabricated piece. 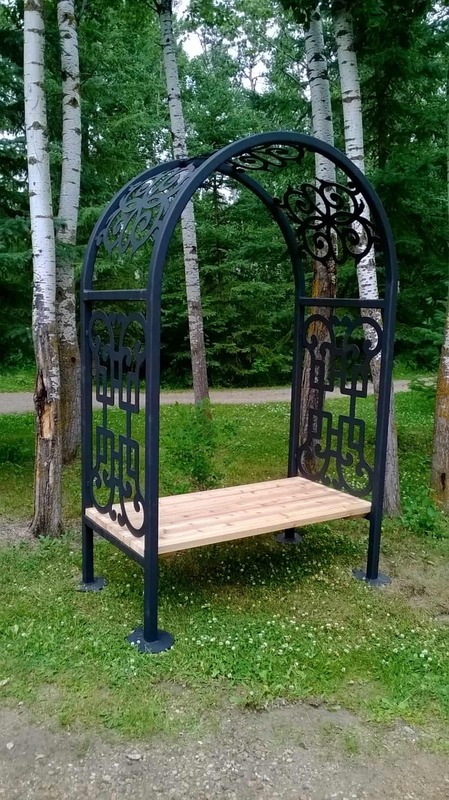 The special aspect of this project was that after the ceremony, a cedar bench seat was installed and the unit was relocated to the couples garden on their acreage. They will always have this as keep sake of their special day, and a place of respite in their garden. These are especially exciting times for us here at Edmonton Blacksmith Shop, we have been working on and testing a power hammer we designed, that will be a regular production item for us. The criteria for us was, design and build a pneumatic utility power hammer with premium durability and user ergonomics, while keeping it affordable for hobbyist and professional blacksmiths alike. That also means no expensive foundation required. A unit that wasn’t necessarily the most powerful on the market, but definitely not the least. A hammer to bring new found wonderment to the beginner, yet still put a fiendish grin on an experienced blacksmiths face. A hammer that if after years of steady usage required some refurbishing, the owner wouldn’t have to own a complete machine shop to work on it. This includes being able to make your own additional dies. Lastly provide western Canadian blacksmiths with easily accessible power hammers, meaning no major shipping costs, no US border issues, and dealing in Canadian currency. This is not a space that I want to occupy on an ongoing basis, but in this first entry I have to speak out about a project that is an affront to the art and craft of blacksmithing and metalworking. I recently viewed a public installation of a blacksmith’s work. It was a five meter in diameter footprint, wrought iron, walk through domed gazebo. The workmanship was atrocious. Flat out sloppy and seemingly without any maintained tolerance. The welds looked like some thing you might find on the bottom of a budgie cage, spatter and undercut left all over the place. One of the welds was completely fractured. There appeared to be some hand held torch cutting done, to cut windows into rolled channel iron. Again, totally sloppy cuts with the slag not cleaned off. It looks as though decommissioned drill stem from the scrap yard was used for the main vertical supports, which had totally out of place square plates on top of them to tie in the dome portion of the structure. It came across as a design after thought. I can appreciate the desire to recycle used material but your selection of material is still critical. Decommissioned drill stem is usually pulled out of service because the remaining wall thickness and uniformity are deemed to no longer be structurally sound (a characteristic you would also require in holding up a gazebo that can expect pedestrian traffic below). It also doesn’t help that drill stem is highly magnetic and not conducive to the optimal conditions for creating a sound weld. The piece had a pigmented oxidized finish. This can be a very pleasant and appealing finish but without the appropriate clear coat sealing it, the concrete below is stained with rust as water drips off the entire piece. I would have suggested an ultra violet stable, exterior rated, clear powder coat. In addition to these structural deficiencies there was also an overall lack of attention to detail where obvious components were missing from the wrought iron dome portion. Work was out of place not by quarter or half inches but by two and three inch misalignments. All of these issues are unacceptable by international blacksmithing standards. I would not permit workmanship such as this to leave my shop. The so-called blacksmith that did this work is a disgrace to the brethren. Possibly the scope of the project was simply beyond his or her capabilities. The terrible thing is that most people do not know the difference and just get taken advantage of. When I look at this gazebo I just feel sadness. Sadness from the stand point that this prominent public installation is so lacking in quality, and sadness for the person or persons who didn’t know better and actually paid for it. 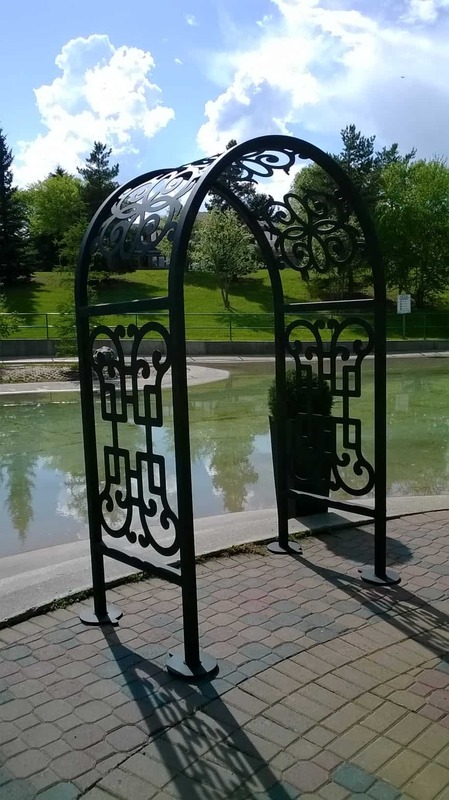 The fact that this publicly exists makes me want to offer to redo this gazebo for free, and build it how it should have been constructed in the first place – with skill and care resulting in a quality public installation. I apologize for this negative sounding rant, but this is an issue I take to heart.